Established in 2002, Benchmark Wine Group is the leading source of fine and rare wine for wine retailers, restaurants and collectors around the world. Based in Napa Valley, we acquire the most sought-after wines from private individuals and professional contacts. Our staff draws on decades of industry experience and is dedicated to providing exceptional service to all of our clients. 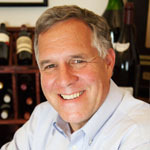 Benchmarkwine.com offers 24 hour access to our cellar, displaying inventory in real time. To be the first company professionals and serious collectors consider when buying and selling the greatest wines in the world; gaining the trust of our clients by providing an Exceptional Experience, every time. Kari is responsible for keeping the team within the lines and is a model that the proof is always in the pudding. Kari started her career in the art world. After graduating with a Bachelor of Arts degree in art and art history from UCLA, she worked at the Getty Museum as a docent. In an effort to pay her bills, she became the manager of the fine dining restaurant at the Getty Museum. She quickly fell in love with building the wine list and growing the wine tasting menu program. 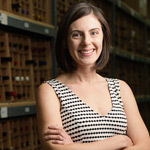 Kari moved to Napa Valley to pursue a career in wine, and landed at Benchmark in 2005. Starting in sales and marketing, she quickly progressed into the acquisitions department. She prides herself in learning the fine wine business from the ground up. To view open positions, please Click Here.